Colored Cabinets may not be as crazy as they sound. 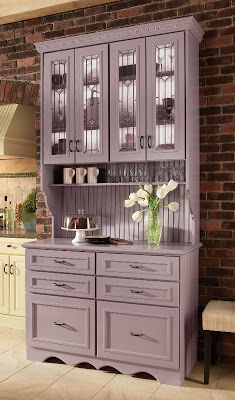 What a way to add color into your kitchen! Colored cabinets can really make your kitchen pop and give you a custom design that will be a beautiful addition to your home. It may sound strange at first, but after you look at some pictures of colored cabinets you can see how good they can look! 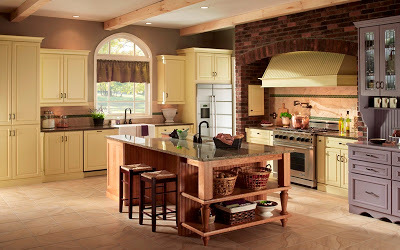 Above you will see not all the cabinets are the same color, this can give you numerous options on how to play one color off another in your kitchen.